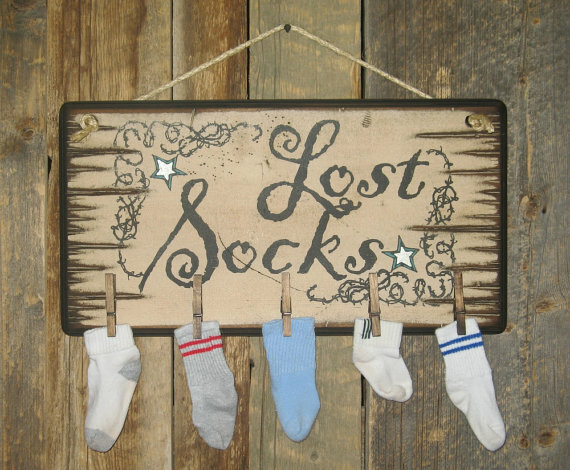 Lost Socks!! This is a MUST for any laundry room! 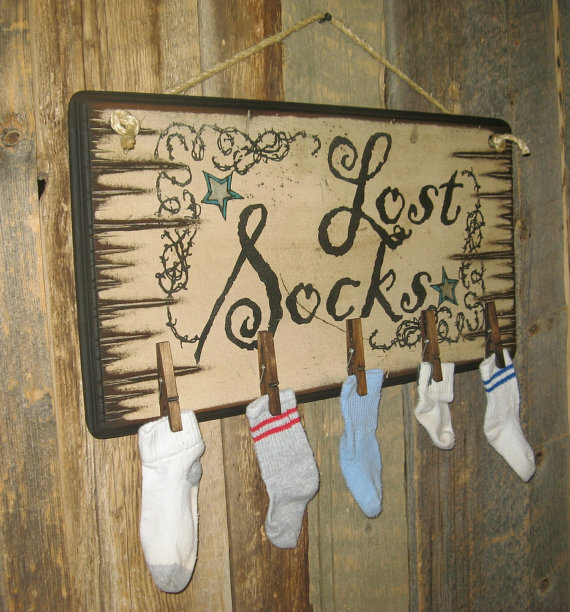 This sign has 5 clothes pins attached to the bottom so that you can keep those lost socks that the clothes dryer always seems to eat organized! This sign measures 11x20, has a white background and a black edge. It comes with the grass rope hanger for easy hanging and the clothes pins to hang the socks. (Socks not included) Handcrafted with pride! !